Firefox 16 isn’t being released on the Mozilla website until October 9th; however, the latest version is already available for Windows, Mac, and Linux via Mozilla’s FTP servers. L0phtCrack: Windows password cracker is back! 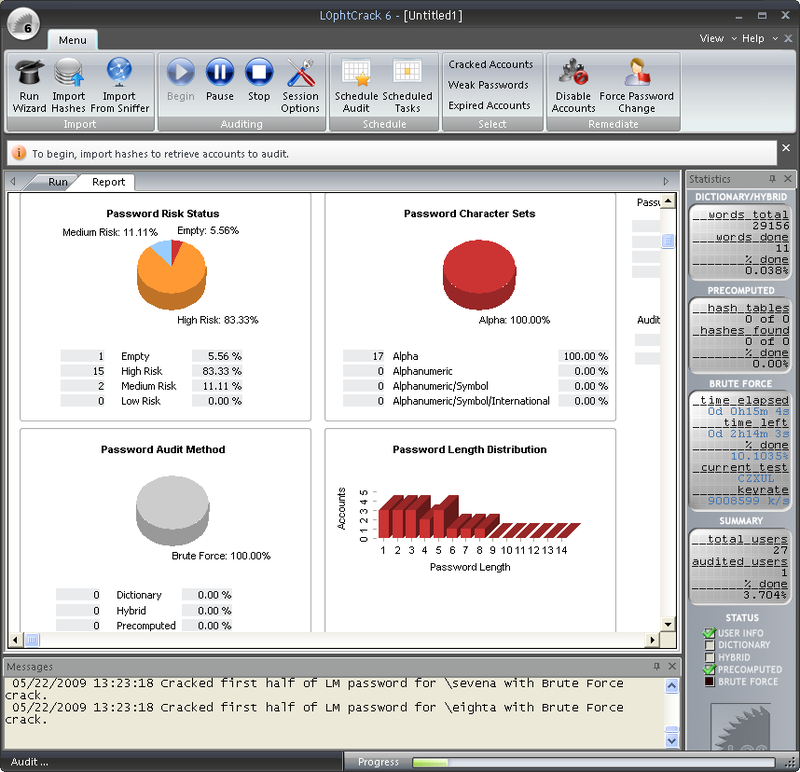 The legendary L0phtcrack password cracker is returning and in the form of a new version 6. L0phtCrack disappeared from the market after @stake, a company which was formed by L0pht Heavy Industries and others, was taken over by Symantec. At the beginning of this year the original L0phtCrack team bought back the software rights from Symantec and have now upgraded the tool. L0phtCrack 6 provides a scoring metric to quickly assess password quality. Passwords are measured against current industry best practices, and are rated as Strong, Medium, Weak, or Fail. Pre-computed password files is a must have feature in password auditing. L0phtCrack 6 supports pre-computed password hashes. Password audits now take minutes instead of hours or days. L0phtCrack 6 imports and cracks Unix password files. Perform network audits from a single interface. L0phtCrack 6 has a built-in ability to import passwords from remote Windows, including 64-bit versions of Vista, Windows 7, and Unix machines, without requiring a third-party utility. System administrators can schedule routine audits with L0phtCrack 6. Audits can be performed daily, weekly, monthly, or just once, depending on the organization’s auditing requirements. L0phtCrack 6 offers remediation assistance to system administrators on how to take action against accounts that have poor passwords. Accounts can be disabled, or the passwords can be set to expire from within the L0phtCrack 6 interface. Remediation works for Windows user accounts only. The user interface is improved and updated. More information is available about each user account, including password age, lock-out status, and whether the account is disabled, expired, or never expires. Information on L0phtCrack 6’s current session is provided in an “immediate window” with a reporting tab providing up-to-the-minute status of the current auditing session. L0phtCrack 6 has real-time reporting that is displayed in a separate, tabbed interface. Auditing results are displayed based on auditing method, risk severity, and password character sets. Displays risk status in four different categories: Empty, High Risk, Medium Risk, and Low Risk. Reports the overall length of the discovered password by account. Number of Accounts cracked and the number of Domains audited. L0phtCrack 6 supports foreign character sets for Brute Force, as well as foreign dictionary files. Pull down menus change for language and character set. L0phtCrack 6 ships with several foreign dictionaries. Visit L0phtcrack to read more or download the latest version. You can also read my previous article “Ophcrack Live CD – Crack Windows passwords in minutes“.